“Company culture is perhaps the most important thing to consider before accepting a job offer. It is hard to have a complete understanding of a company’s culture without actually working there, but there are online resources and questions you can ask throughout the interview process to give you some insight. Check the company’s website and social media platforms. There you will find the mission statement, projects they’ve been involved in, and sometimes biographies on members of the leadership team. Websites like Glassdoor house reviews written by current and former employees complete with their personal lists of pro’s and con’s. “It is important before you even get to the offer stage that you know what you want and why you are looking in the first place. Getting an offer and the process of giving notice becomes very emotional. They say changing jobs is one of life’s biggest stresses. 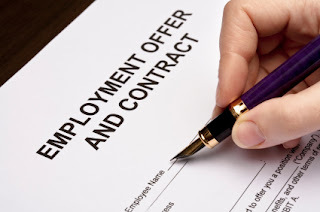 “Prior to the job offer, you should be aware of how the compensation is broken down. Is it a base salary? Is there a cap? How is it paid out? You shouldn’t be afraid to ask these types of questions. You deserve to be compensated for the value that you’re bringing to the company. Being financially valued and personally valued are the 2 most important factors about being in a positive workplace. At the end of the day, you need to decide what’s realistic for you. Don’t try to force yourself to fit the job. So, take a deep breath, review the important facts, and make sure you’re 100% confident in your decision. Have more questions about interviewing? Please comment below, or contact a CFS office located near you to speak with a recruiter.